The United States added 243,000 jobs in January 2012 - far exceeding expectations of about 150,000 jobs - and unemployment rate dipped to 8.3 percent. Job growth was widespread last month in the private sector, with large employment gains in professional and business services, leisure and hospitality, and manufacturing according to the Bureau of Labor Statistics. There are about 12.8 million unemployed people in the country. The unemployment is the lowest its been in almost three years. The trend of positive employment news continues to grow under the leadership of President Obama. The news also contained positive progress for the Black community. The overall message for the US economy is good. This is the seventh straight month with over 100,000 people entering the workforce. 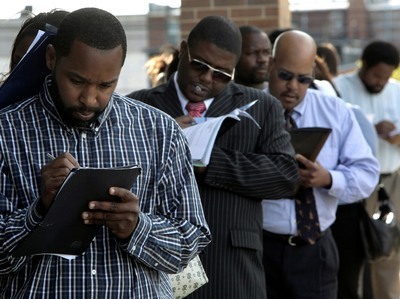 The rate of unemployment in the Black community is still out of whack with what we see nationwide, but at least the statistics are trending in a positive direction.